While we haven’t picked which presentations he’ll be doing yet, Kirk has confirmed that he’ll be speaking at CTCW again this year. Kirk White, M.A., L.Ac., is a healer, teacher and author. He has been a practicing Witch and Magician since 1973, a psychotherapist for 22 years, and a licensed oriental medical practitioner since 1994. 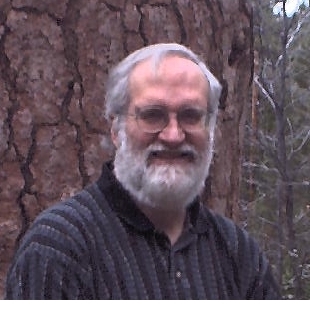 A past co-president of Covenant of the Goddess (North America’s oldest and largest association of Witches and Wiccans), and past director of the University of Vermont’s Parapsychology Program, he also founded Cherry Hill Seminary, a professional Pagan ministry program with faculty and students worldwide, and Standing Stone Academy, a Pagan healer training program. 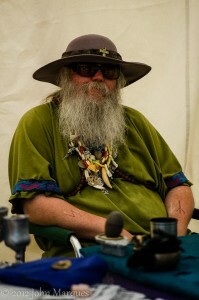 In 2006, Wildhunt.org named him one of the “25 most influential modern living Pagans today.” In addition to working as a consultant with Pagan seminaries nationwide such as the Aquarian Tabernacle Churches’ Woolston Steen Theological Seminary, he is a licensed acupuncturist/ Chinese herbalist, registered psychotherapist, legal Pagan minister, Freemason, and adept in the Hermetic Order of the Golden Dawn. 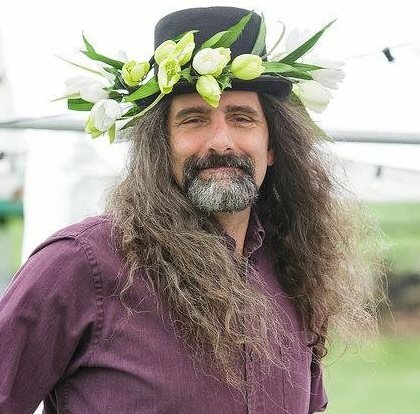 His skills and interests include traditional healing modalities, various magickal and spiritual traditions, and models of Pagan leadership and ministry. rEvolutions: The Elements of Mastery, Operative Freemasonry: A Manual for Restoring Light and Vitality to the Fraternity, and Masterful Magick: A Guide for Advanced Wiccan Practice. 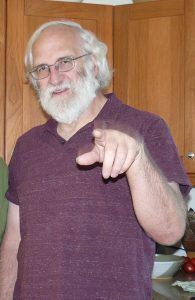 Ritual Triage with Kirk White aka “How to Avoid the Ford Pinto Ritual” or Diagnostic Skills for Energy Healers – Kirk White. Feel free to contact us if you want to suggest a topic you’d like him to address. Many groups, such as pagans, shamans, martial artists, and energy healers, work outside of physical reality. We need to clearly understand — and be able to explain — the soul reality we are working in. This workshop provides a model of the soul that forms the underlying center of all soul-based practices. Understanding the soul at the center makes our practice stronger. It lets us join with other human practices work with other beings to form a more powerful community co-creating soul reality. When we know that every being, in the body and out, has a soul, our place in the worlds becomes clearer. An interactive follow-on to Soul at the Center of All Practice where participants can discuss their practices. As a group we will look at how each of our practices relates to our souls and the connections souls make between beings. Souls and I Think We Can Prove It looks at the effects of souls on our daily lives and how we can become healthier, happier, and more fulfilled when we pay attention to soul reality. Thor will be coming back this year! 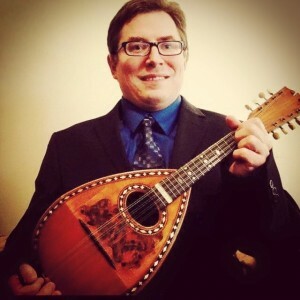 I’m a Deaf, Norwegian-Welsh, Poet, Musician, Pagan, Wiccan, computer-tinkin’-sci-fi fella; Military Brat, lived in Korea and Germany (traveled around a bit of Europe too), Clergy, Educational Interpreter, Poet, Reader of Runes and Tarot, Deaf Educator, Deaf Professional, Musician (play Mandolin). I have a fond appreciation for history, mythology, religion and social structure and sociology, and for the Deaf culture, especially in regards to the Education of the Deaf. I’m an Elder First Degree, Coven of Amber Heart, Coven of Amber Rose Tradition. My Path of Study is Norse, Welsh (Mostly Norse). I’m an Educational Interpreter, SMCPS, St. Mary’s County, MD going for a degree in Deaf Education, MA. I’m trying to formulate a functional foundational work-in-progress representation of pagan/wiccan’s religious concepts and language and forms into American Sign Language with myself and other willing contribution of other Deaf Pagans. Link to Thor’s PageShare this! We are excited to announce that Raven Kaldera will be returning this year! We’ll be posting a list of the classes he’ll be presenting this year soon. Do check back! Raven Kaldera is a Northern Tradition shaman, intersex/transgender FTM activist, erotica educator, Ordeal Master, Speaker for the Transgendered Dead, homesteader, diviner, psychic vampire, herbalist, polyamorous parent, and author of many, many books, articles, and short stories. Raven is a builder of bridges between worlds, a crosser of boundaries between communities, a Reweaver of the Web. He is the Dreamer Whose Dreams Come True. ‘Tis an ill wind that blows no minds. www.ravenkaldera.org/. (to see what he’s done in previous years, click here, and you can buy several of these workshops as MP3s on our Shop page) Share this! At CTCW, Starwolf is often found on panels, as his knowledge base seems to know no limits. To see what classes he’s taught before see his page here. (We haven’t picked which classes he’s doing this year yet- we’ll update when we do. )Share this!